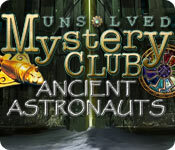 Unsolved Mystery Club: Ancient Astronauts is rated 3.8 out of 5 by 20. Rated 4 out of 5 by Firehorse66 from Original and a lot of fun wish it was longer :( Absolutely loved the game but it was super short. Each investigation should have been longer. The idea was great and good adventure style which is what I love. I hope they make another like this but twice as long. Rated 4 out of 5 by usfreedom from Nice game Graphics were pretty good but sometimes hidden items were too hard to find. The hint/help button was agonizingly slow and sometimes no help at all. It was different from most HOGs in that you could pick what question you needed answered. A good game for the beginner/intermediate because you don't have 20 scenes to run back and forth through to find what you need. Each chapter has it's own set of areas to explore. Overall I did enjoy this game and don't regret buying it. 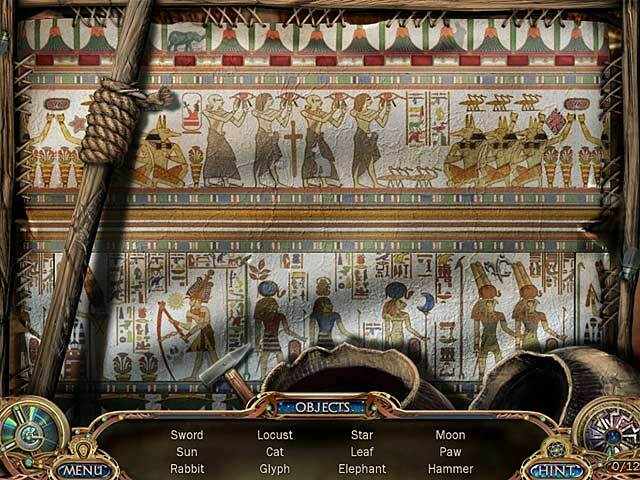 Rated 4 out of 5 by Tikatoy from More adventure game than hidden object game I played this on the harder difficulty and it played more like an adventure game in the sense that you have to find inventory objects and figure out how/where to use them. 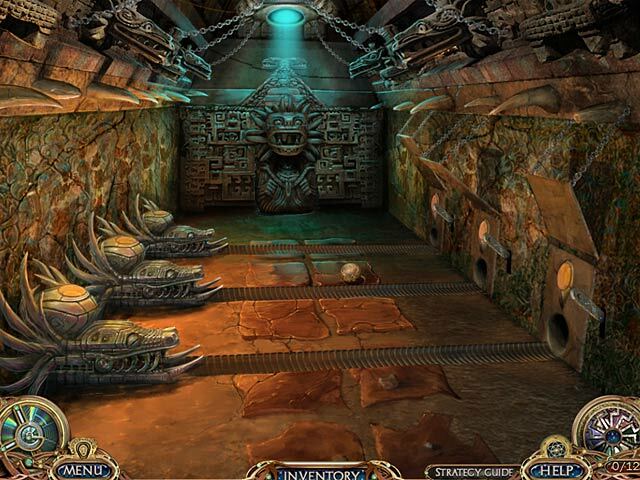 Much fewer hidden object scenes than in typical games of the genre, but they are more challenging than average. These are all "junk pile" style scenes, The fact-based portion of the story is interesting, highlighting various civilizations throughout the world who possessed much more advanced knowledge and technology than should have been available at the time. There is an excellent help in-game help system, unusual for a SE (standard edition). Rated 3 out of 5 by gamefisherhooked from Frustrated!! This game is not a great game but would have been a good game if not for the absolute frustration I had with the hint and skip buttons!!! They took sooooooooooooooo long to fill, that many times I just wanted to uninstall this game before even finishing it.....and I rarely, if ever, do that. Listen up devs; give us hint/skip buttons that fill up quickly please. Thanks to this games hint & skip buttons taking such a ridiculously inordinate amount of time to fill, I'm not going to be playing the others of this series, which I would have done if they didn't have frustration written all over them because of their refill time. Sorry, but I am not going to recommend this game, unless of course you LIKE being frustrated!! What a waste of a free game credit that was!!! 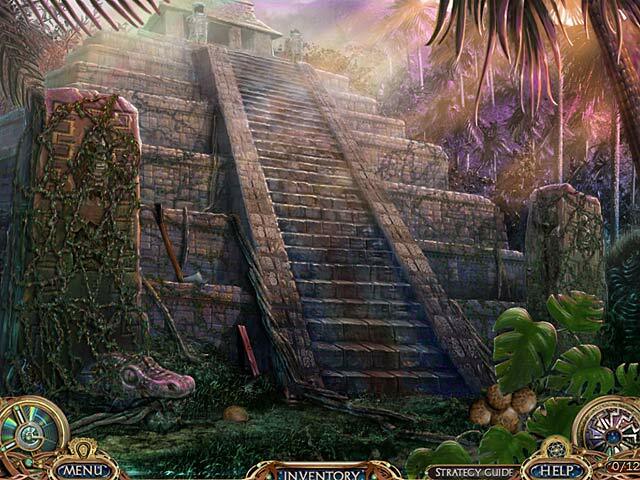 Rated 3 out of 5 by sofiagelpi from Too hard Too many puzzles and very little in hidden object scenes. I spend too much time waiting for the help to activate since 50% of the time, I got stuck on these puzzles. Great for those who love puzzles, but if hidden objects is your thing... keep looking. This ain't it! BTW, the premise on the Dogo people is a fact. Rated 2 out of 5 by Ganleynj from Unutterable I tried this game out when I first joined Big Fish, and it baffled me then. This time around, I had a free game voucher so I thought "why not?" and downloaded it. I persevered to the end, and I am so glad it is over! Conquering Everest would have been a piece of cake compared to this. The best thing was the story line, if you're a conspiracy theorist. I might have been compelled to check out the opening statement #based, sort of, on true events# on Wikipedia but I lost the will to live. The trick is to check every single nook and cranny with your mouse, because you won't be able to get far otherwise. The help function is arduous, it does give you more or less direct instructions on how to do things but it takes ages for the hint to recharge #I am a softie that likes to play "easy" versions of games with quick recharges#. Some of the games are hard to understand. If I were an advanced player #and boy, did this game confirm that I am not!# you could sink your teeth into this challenge. However, if you're after entertainment only, avoid! Rated 1 out of 5 by frog44 from they may never be found Have had this game for some time and actually finished one out of the three times I played (second time). Tried it again for the third time and it is not fun...... The "help" really isn't and without specific instructions for the simplest of things (putting the zip line together for instance) it is easy to get frustrated and quit. Instructions like "follow the guide" to not help in getting any of the pieces together. I know I did it once, but apparently my advanced years prevent me from having the patience to keep trying and trying and, oh you get it. A game on "easy" should be fun and relaxing; this isn't. Try at your own risk. Rated 1 out of 5 by fatandfrumpy from Absolute garbage I bought this game a year ago. This is the same game I had to return last year. I assumed with my computer upgrades and the dev repairs it would be playable. It is not. I am extremely angry that you are still selling a game that nobody can play. I only bought it a second time because I assumed BFG wouldn't still be selling it if it weren't fixed. WRONG! I played the demo which ran out before I hit the wall.